What better way to trim your tree than with a hearty nod to Santa himself? Instead of a traditional tree skirt, try our tree collar. Elegantly mask your bulky and unsightly Christmas tree stand with this Satin Tree Stand Collar from sdsaena shop. 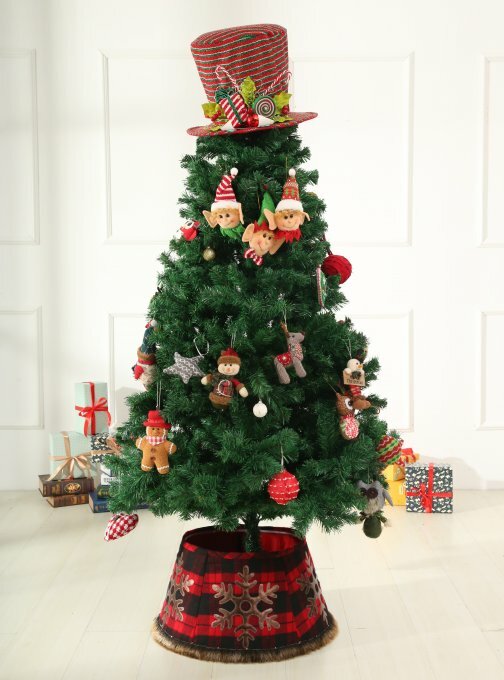 Suitable for a live tree or for any size artificial tree with a stand smaller than 26 in. Dia, this collar features a smooth satin base and diamond tinsel crisscross design to enrich your home's holiday ambiance. 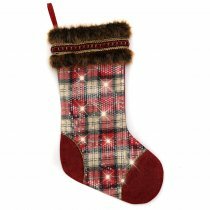 The tinsel material gleams under the light, while the collar's patented design makes it easy to wrap around your tree.